Back at Gamescom 2014 a trailer for a beautiful looking game was shown by indie studio Swing Swing Submarine. It then resurfaced at the Game Developer Conference in 2015. 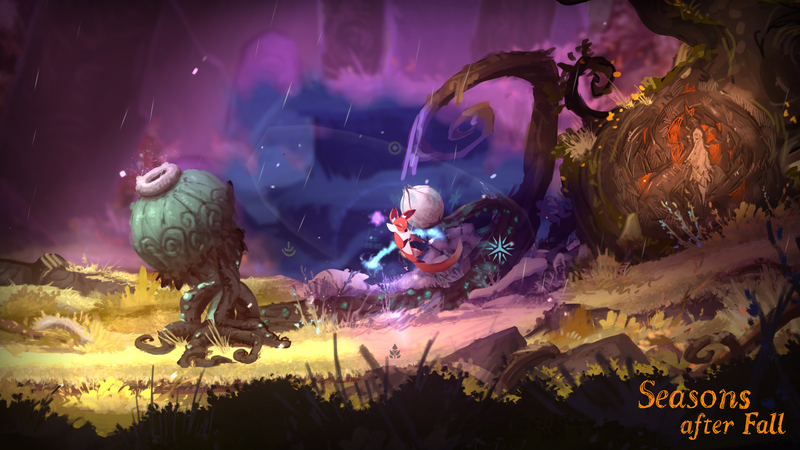 The game was called Seasons After Fall and the trailers showcased a brief look at a platforming game that resembles Ori. The visuals for it looked gorgeous, and it was accompanied by a fitting soundtrack. The world is brought to life by hand-painted graphics and the soundtrack is all original music performed by a string quartet. Seasons After Fall is developed by Swing Swing Submarine. They’re a relatively small development team that have a few interactive experiences on their credentials. They’ve released Blocks That Matter and its sequel Tetrobot and Co, which are described as “Ingenious puzzle games bound by their world and their game mechanics”. From there Swing Swing Submarine began work on the platform and adventure game Seasons After Fall which is a game based on exploring and the seasons. You play as a wild fox in a magical world. 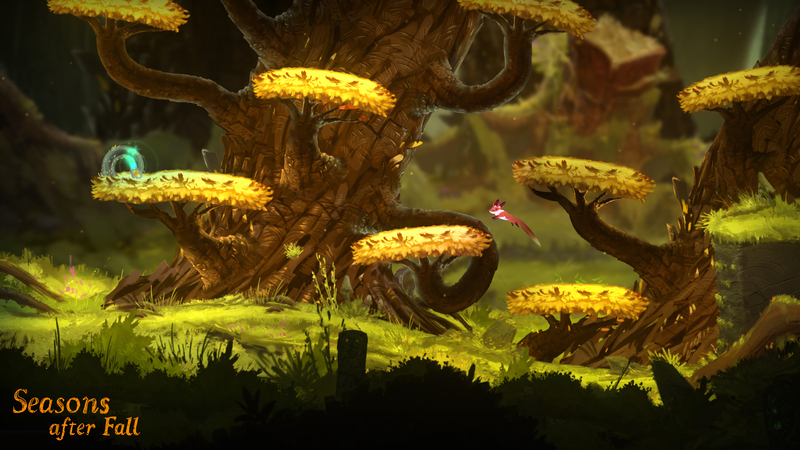 The fox you play as has powers that allow you to manipulate the seasons which helps you progress through the forest. The powers allow you to modify the forest by summoning one of the four seasons when you might need them to aid you in progressing on your adventure. If you encounter a flooded area why not try changing the season to winter and see if the area freezes over? Summer can cause the plants and flowers to grow, Spring brings the rain. Experiment with the seasons to assist you in progressing through the colourful world. It sounds like a nice concept to add to the standard platforming genre. But what really makes the game standout to me is the visuals. I’ve looked at the images released from Swing Swing and their concept art for the game and they are all absolutely stunning. Seeing it in motion on the trailers reassures that the art style isn’t just for screenshots and the game plays out this way throughout the game. Seasons After Fall is due to release in 2016 (here’s hoping so), and it’s due to hit just about everything with Windows, OS X, Linux and Consoles.